If you’ve misplaced all your Toyota keys or you simply need a spare key, we can produce new keys for you. And no matter the model of Toyota you drive, be it a Corolla, Hilux, Rav4, Land Cruiser, Camry, Aurion, Yaris, Hiace or any other type of Toyota vehicle, we have the know-how! With some older models of the Toyota vehicle, the immobilizer unit or ECU on your car would have to be taken out before a new key can be programmed for you. This is a task that many locksmiths shy away from, but our expertise, knowledge, and the tools we have make it easy for us to take on this task and get your Toyota back on the road quickly and effortlessly. The newer Toyota models, however, come with an additional security feature. If your Toyota key has a “G” stamp on it and you don’t have any extra keys, then it’s essential that you move swiftly because if you are unlucky to lose ALL your Toyota G-chip system keys, having new keys programmed will be really expensive and arduous. With the G-chip systems, you’re only able to program an additional key when you have an existing key. Losing all your keys leaves you with only one choice and that is to have the immobilizer and engine ECU in your Toyota vehicle’s dash replaced, a process that will knock you back thousands of dollars at the local Toyota dealership. 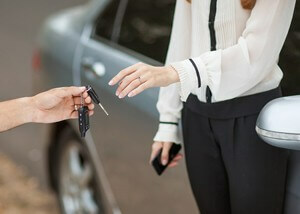 To learn how we can assist you to make some savings on your set of replacement or spare Toyota keys, call us today! And if you want us to provide you with a Toyota remote key, ensure that you fill in all the required details correctly to get a precise quote.